Visit the Mesmerizing place Kinnaur, stay with us and feel like home !!! Kalpa is a small but beautiful place in kinnaur district of himachal pradesh. Our kalpa hotel have 12 clearly Mountains facing rooms. Visit to this phenomenal place and stay with calm mountains and enjoy the view of mountains / snow mountains from the rooms only. Himachal Pradesh is a state that shares its borders with China and Tibet. Our hotel is perched at a very good location on the roghi road. It faces the mighty kinner kailash peak and the shivling. We served the fresh food in our restaurant and you will feel like a heaven with taste of food. Kinnaur has always been considered as the land of deities. 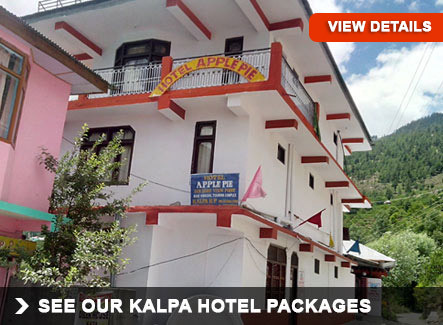 We at hotel apple pie, kalpa assure you the best services as compare to other kalpa hotels. 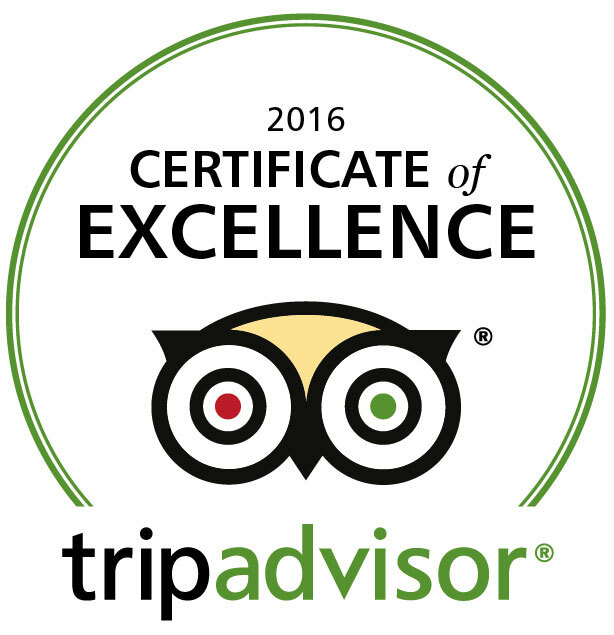 Our trained & friendly hotel staff will help you to make your vacation more memorable. As our hotel staff knows very well about the kalpa so they can guide you some ineresting things / facts about some secret places in Himalayas! The village Rakcham near Sangla Valley is situated 8 kms ahead of sangla on the road that leads till the last village of india- chitkul. This area is a trekkers paradise with several treks leading to uttarakhand. Our Hotel in Sangla / Rakcham that is midway chitkul from sangla valley. It has five double and four family suites. The views from the hotel apple pie are breathtaking. A walk on the road that leads to chitkul can be a walk that a person can never forget in his life. 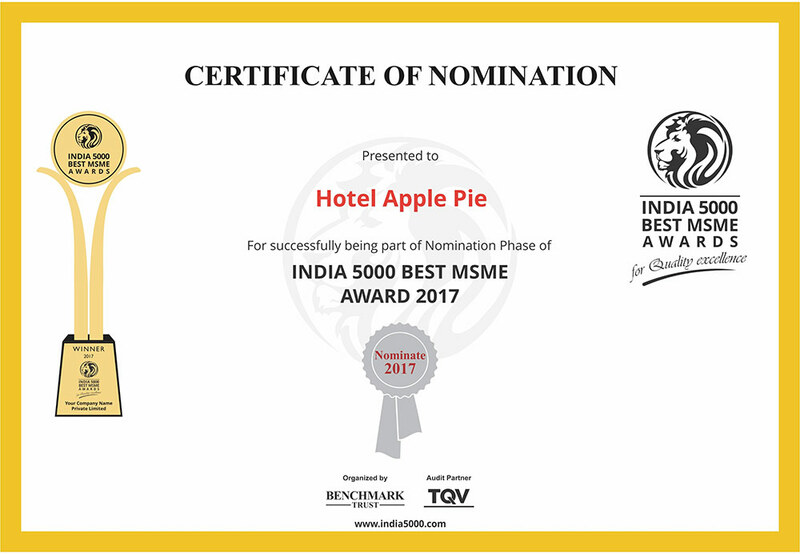 Overall hotel apple pie serves as the best in catering to the needs of almost every traveller who has any thoughts of enjoying the nature and sitting idle to admire it. 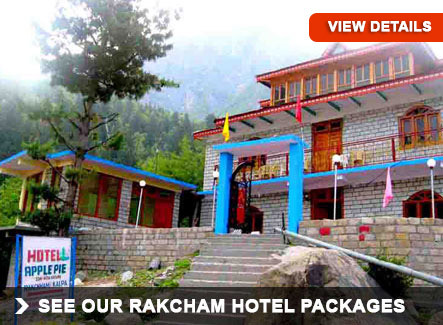 Please note: Our Hotel in Sangla Valley, Rakcham has the newly constructed luxury rooms to suite all budgets. It has been catering to the needs of business, leisure, family and individual travelers. INR-9999/- per person Contact NOW! Email This field is required. Not a valid email.